Double Coverage: UK American Football Blog: The London Jaguars; pipe dream or inevitability? Roger Goodell announced earlier this month that plans are in motion for no less than 3 London based International Series games in 2014 (including 2 home games for the Jaguars), plus increasingly unsubtle hints of a permanent franchise in the capital. It is either an exciting or worrying time to be an NFL fan, depending on your perspective. The motivation behind the NFL's aggressive assault on the international market is not hard to fathom. They have a highly polished, highly successful, highly marketable product - but one that currently is constrained almost exclusively to one country. If they were able to gain a foothold in Europe and the rest of the world the profits and esteem for the NFL would be huge. The failure of NFL Europe caused the league to realised it needs to ship out its A-grade product if they are to achieve their goal of sustained intercontinental and even worldwide interest. However, despite the encouraging success of the International Series games since 2005, the prospect of establishing a permanent sustainable franchise in London (or any major European city) is daunting, and one even die-hard resident football fans are taking exception to. Here we'll try and examine the biggest obstacles there are to the proposition, and whether they will be enough to prevent or stall the NFL's expansion into Europe. By far the most obvious flaw in having a London based franchise is the travel and scheduling nightmare that would occur on a weekly basis. With an 8 hour time difference and roughly 11,000 miles (as the crow flies) from the West Coast of America, teams travelling to and from London would have to arrive days in advance to properly acclimatise. This would make playing away games for the London team extremely stressful, and would not make it easy for the team to establish any kind of road presence. Likewise, fan support on their away trips would be extremely sparse, as not many London based fans would be able to travel to America to support their team regularly. Would we see these numbers 8 games a year? The next question worth considering is can the UK legitimately sustain its own franchise. Will ticket and merchandise sales be profitable enough to be worthwhile (even showing the promise of large future profits would be enough), and will fan interest be high enough to make it more than a passing fad for local supporters? The NFL international series games have universally sold out, including both games scheduled for this season, proving to the league there is significant interest in the UK. However, would the novelty wear off if there was a single team playing 8 games here? It is definitely a concern, but really there is no way to know until a team is established. You can bet Goodell and the league will be studying interest for next season's double dose of Jacksonville extremely closely to give them the best possible indication. 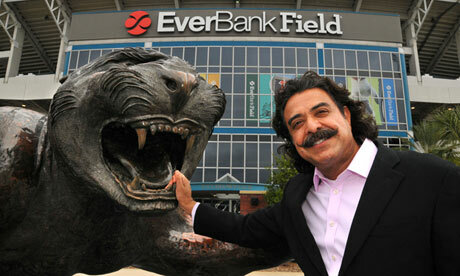 The most likely team to move to London is the Jacksonville Jaguars, a historically under-supported, losing franchise. Would this be forgotten if they were to up sticks and set up in the Olympic Stadium (or elsewhere)? I'm aware I'm asking a lot of questions in this section, and not providing many answers - this is because this concern is where the most unknowns are. There aren't many fans (other than locally based existing Jags supporters) who would pay to see 8 Jaguars games a year, but there are perhaps sufficient numbers of NFL fans in general that would watch enough games between them to, if not sell out, then at least come close. I certainly think when you factor in that there will be another (more popular) team playing away (there are plenty of Colts and Texans fans in the UK), then there could be enough interest to support a franchise. If it were successful it would almost certainly be a case of a far greater proportion of 'away' support than in your standard NFL showdown. If the Jags (or any team) did move to the UK, they would likely become most fans' 'second team' - a team to cheer on come Sundays but not one to spend significant amounts of money going to see regularly / buying all the gear of. Drafting some exciting young talent and racking up some wins in the near future, before or just after a relocation, could change matters in this regard, and give them a much needed shot of popular appeal. The bottom line is, in order to be successful, a franchise would have to convert new UK fans rather than relying on the NFL's very committed, but relatively small, number of current UK supporters. In a culture dominated by other sports and an undercurrent of British distaste for things so overtly and gaudily American as the NFL can appear, this would not be an easy task. An off-shoot of the problems distance creates would be the difficulty of attracting players to want to come and ply their trade in London. In theory the draft makes the NFL a balanced and fair league, but in reality players can and have refused to play for teams that pick them, if they absolutely don't want to. The prospect of playing and living in another country would likely be a bridge too far for many prospects, especially those high level talents who have many suitors come draft day. 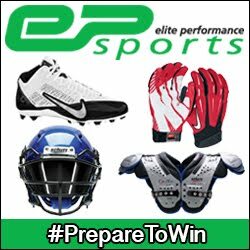 I can easily image a scenario where college prospects would rather shave many thousands of dollars off their rookie contract and fall a few spots in the draft, rather than face moving to London to play - especially when you consider the Jaguars (or other) is not at first going to be a popular, winning franchise. If they were, they wouldn't need to move to London in the first place. That said, money talks - so this may not be as big of an issue as we imagine, but I envision the London Jaguars' draft board being significantly smaller than other teams due to players expressing an active desire not to play in London. Likewise, attracting free agents and retaining their own contract year players would become that much more difficult if playing in London was seen as less glamorous than in the States. Bengals' OT (and more notably their NFLPA rep) Andrew Whitworth has even gone so far as to state he would quit playing football if forced to compete regularly in London. Whilst this may be a little extreme, it shows the extent to which the move could prove unpopular with established players. It is also worth considering that the UK's fairly brutal tax policy on foreign or visiting athletes' income would discourage players from still living in the US and taking up temporary residence in the UK during the season. In order to avoid having a huge swath of their income (including endorsements) taken away they would have to go all in and live permanently in the UK. Whilst it is true that some US states have harsher tax laws than others (California is particularly high), having to move to San Diego or San Francisco is probably more palatable than a rainy November in London. Tack on to this the inevitable difficulty in attracting the more lucrative US endorsements whilst living and playing in the UK, and NFL stars would be well within their rights to poo-poo making a living playing in Britain. To whatever degree this has an effect, it will in at least in some ways limit the London franchise's long and short term success. Without the ability to attract their fair share of top level talent the team would become steadily worse and worse and therefore make less and less money, ultimately signalling its own demise. Moving the team to London would be a huge gamble for owner Sahid Khan. All the nay-saying aside, let's take a leap of faith and imagine the NFL does decide to relocate the Jaguars to London, the UK fan-base gets on board and through enough saturation they attract new locally based support as well. The franchise grows and becomes if not a Super Bowl contender then at least an average team in the league. The impact of having a permanently based NFL franchise (even a less than stellar one) on the UK game would be immense. Interest in playing the sport at Uni and Senior levels would sky-rocket, and that in turn would feed back into more interest in the NFL and the London franchise. It would become easier for young British talent to attract the attention of college scouts, and ultimately we could some day see home grown British athletes playing professional football for the London Jaguars. Should the franchise succeed, the NFL would look to expand further, gradually starting up new teams in other major European cities, not to mention Mexico, Canada, and other logical countries. The NFL would slowly grow into the World Football League, and the sport would become a true contender to soccer in terms of popularity. Sound too good to be true? Almost certainly. Realistically I can't see a London Franchise being a true success, and definitely not overnight. However, one thing I don't doubt is the league's desire and almost bull-headed determination to grow the game outside of the US, and therefore I think the London [INSERT TEAM NAME HERE] are an inevitability. Whether the franchise survives, succeeds, and acts as a springboard for worldwide growth is a far more tenuous prospect. Surely if we, as a country are serious about football in this country, should take a leaf out of the Polish American Football league who managed to attract 30,000 people to their national final. The attendances at the BritBowl over the last couple of years have been pathetic. 80,000+ people are going to the international series games, but how many are really fans of the sport...? The only way (in my opinion) the NFL Euro franchise would work in Europe is simply a European division! Jag's to London, Rams to Berlin, Paris ? ? ? and maybe re instate the Scottish Claymores (OK that's a long shot). The point is 4 American teams come over and all rotate around Europe before heading back. I believe the NFL would be better placed re instating NFL Europe in city's that CAN support teams. and attract NFL players close to retirement who are house hold names in the US and Europe (e.g Terrel Owens, Ray Lewis etc) this way it could be marketed in both the US a(e.g Redskins, Giants) can support both teams with out clashing interests. If its going to be done it needs to hav a 15 year commitment, over that period of time young kids that go to the NFL Europe games will have gone through Uni/played senior ball and the effects upon support for the London team will start to be seen. Within 15 years you may have people who have only ever watched the NFL while there has been a team in London and the 'second team' scenario may start to diminish, saying that we are a country of glory hunters (look at all the London/Birmingham ManU supporters) . If it does happen they will have to change the name, the name should relate to the country in my opinion, although we have less exciting indigenous animals....... The London Badgers anyone?